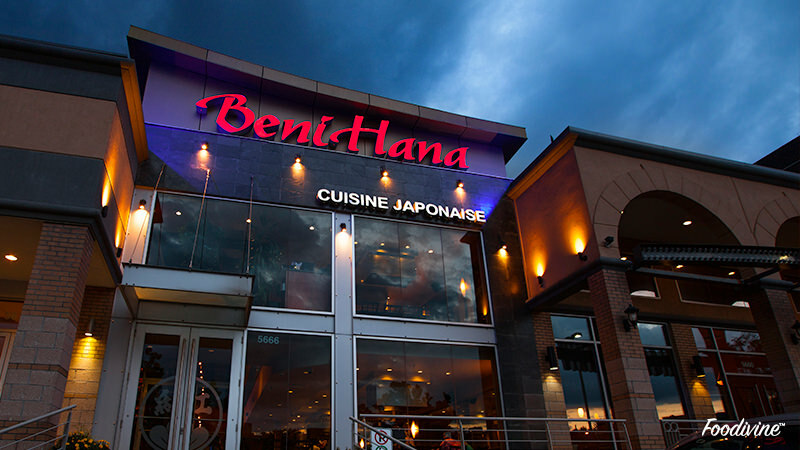 Beni Hana is a well-established, Japanese restaurant in the Hochelaga borough of Montreal. 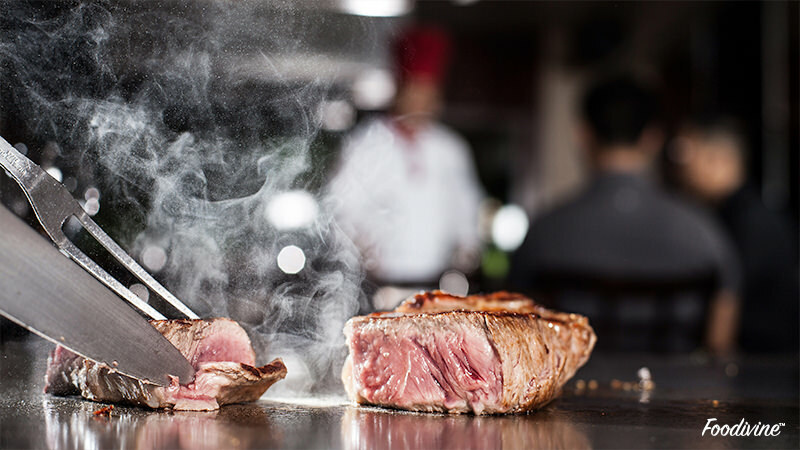 The restaurant offers Teppanyaki style cuisine – the chefs express their showmanship and creative culinary skills using knives and various utensils while cooking custom-made dishes on a hot grill right in front of the diner. The restaurant prides itself on the dining experience as much as their delicious food, which affected the food photography that resulted from it. One of our focuses was to create images that captured the emotions of the customers while they are experiencing the atmosphere of this kind of restaurant. Models and talents hired to assure that our attention could be directed on what was most important – the excitement. The light was crafted around them to create a commercial look. After taking tons of reaction photos, we worked in post-production work to ensure high quality photos that provided a balance of sentiments in all their faces. 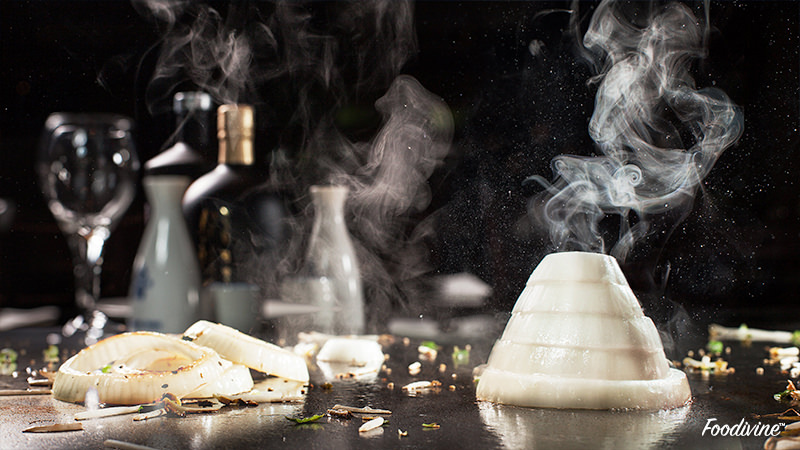 Another element of this shoot was highlighting the lively techniques of the Teppenyaki style of cooking. We worked with meticulous detail from start to finish to capture the remarkable cooking ambience. Photos of large flames and their onion ring ‘volcano’s showed off just how energetic and engaging the restaurant is when you experience it first-hand. 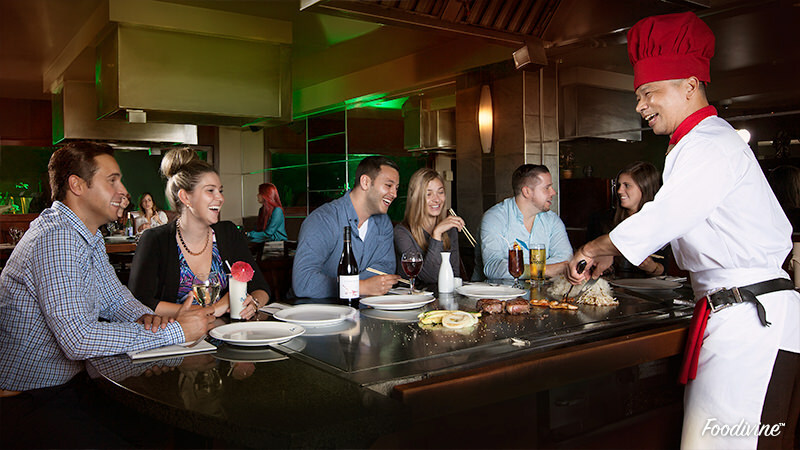 Beni Hana is an upscale restaurant that has a low-light ambience. In restaurant photography, one of our goals is to re-create the atmosphere of the dining room. For this shoot we used six studio lights and light modifiers to create the mood. We wanted to bring out the vibrant colours on the building’s exterior, so we applied long exposure techniques and used the natural city light to our advantage. This shoot had countless elements involved, but every food photographer has to remember that people and their experience are just as important as how appetizing the food looks in restaurant photography.